Brandon and Mila, Sacramento, Ca. Macee H. - Citrus Heights, Ca. Short story: My husband and I absolutely love ViAnna & Jim!!! We highly recommend them. Long story: We were chosen for a free engagement sitting after a bridal open house at Arden Hills Resort and Spa. We went to downtown Sacramento for our engagement photos and we totally connected with ViAnna. She was so incredibly sweet and made us feel very comfortable. She knew exactly where to take us for the best photos. We had such a fun photoshoot and even got to meet her husband, Jim. There was no doubt in our mind that we wanted them to be our photographers for our wedding day, so we booked them as soon as we could. Our engagement photos turned out beautifully and we received so many compliments. I kept in close contact with ViAnna after our engagement sitting. They genuinely made us feel so special. The day of our wedding, she seemed so excited to be there. She gave me the biggest hug and reminded me that the day would be perfect. She was right, our wedding day was absolutely perfect. She and Jim captured the most beautiful and special photos on our wedding day. Things could be chaotic on any wedding day, but they were so professional and there were never any issues. I was completely stress free the entire evening. ViAnna and Jim, thank you again for everything you did for Geoffrey and I. 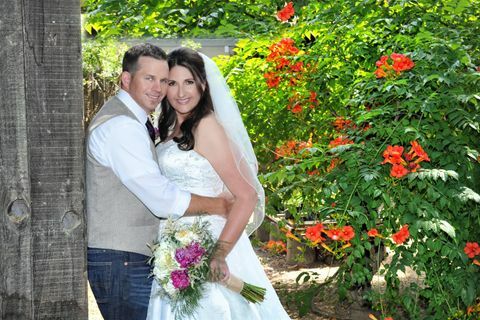 We are so happy to have had you capture the memories on our wedding day. Cathy H. - Sacramento, Ca. Jacqueline J. - Antioch, Ca. 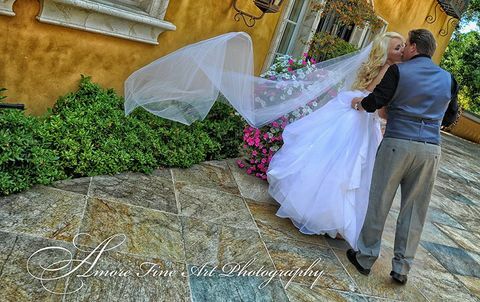 We are so happy we chose Amore Fine Art Photography for our wedding photos. Not only did they have wonderful wedding packages, but the owners Vianna and Jim cared about our happiness. After paying for our wedding package our wedding was postpone. The owners gave us a year to reschedule our event. Finally we were able to reschedule our event. We really appreciate their patience, and the service we received. Our engagement & wedding photos are amazing. Vianna and Jim thanks again for a job well done! Gino S. - Suisun City, Ca. First off, amazing and a wonderful experience! ViAnna and Jim we're awesome. The photos turned out to be absolutely beautiful. The location was ideal with many different opportunities for aesthetically pleasing backgrounds that enhanced the atmosphere of our pictures. They made this experience very special and fun for us. Will definitely keep them in mind for the future. Janelle M. - Sacramento, Ca. Vianna and her husband did one of our close friends' engagement and destination wedding photos. Not only are the photos gorgeous and unlike many I have seen before, they really take their time to get to know the people they are working with. By doing so, they are able to capture the personalities and unique qualities of their clients to make their photos different and special from any other wedding photos. Phleacia C. - Sacramento, Ca. Vianna is awesome. We needed some family photos for Christmas and she suggested we go down to Capital park for outdoor photos instead of going for the old traditional inside backdrop ones we normal get. We had a blast. Our kids do not have much tolerance for sitting still and smiling on command but ViAnna kept us laughing and at ease. We ended up with some great shots that really captured our kids personalities. Thanks! Brittany N. - Lincoln, Ca. Izzy Y. - Carmichael, Ca. Somethings as Special, Important and will become life time memories are pictures of your Wedding Day. I recommend to anyone getting married to meet with ViAnna & Jim and let them share their expertise with you. Pictures are worth a thousand words, is a saying ...better yet, Pictures are your lifetime of memories, why not hire the best! I am so PLEASED and HAPPY with my photographs!!! Thank you Amore! Okay and Chi - Elk Grove, Ca. I have never been the type who cared about photography but my wife does; so when our wedding anniversary rolled around I reluctantly agreed with the wife to hire professionals for the job. When she hired Amore Fine Art Photography; that turned out to be the best decision we made leading up to our wedding. ViAnna and Jim were just as excited as we were over our wedding; ViAnna's passion for photography and indeed passion for art was undeniable. She connected instantly with my wife and soon I was completely relaxed. She offered us so many different options captured shots from multiple angles (I love the aerial shots) which translated into so many amazing shots. ViAnna and Jim were friendly, they were on time and connected easily with our guests. They were the first to arrive for the wedding and they stayed till the very end and never for one moment complained amid repeated requests from guests and family for more shots. In all they remained poised, maintained their professional demeanor but were courteous and steadfast in their primary focus - my wife and I. We are so very grateful to ViAnna and Jim for making our wedding so memorable, the pictures turned out to be even more beautiful; a testament to their dedication to excellence and attention to detail. We highly recommend their services to anyone interested in preserving the memories of their special event! J G - Milpitas, Ca. We could not recommend ViAnna and Amore Fine Art Photography enough! ViAnna captured the very essence of our wedding day in every single photograph. Not only did each photograph highlight a loving and special moment from such a memorable day, her use of lighting, composition, and attention to detail truly made for magnificent pieces of art in each photograph. From the moment we met ViAnna we knew she was going to be amazing to work with. Her positive attitude and outlook on life will immediately put you at ease, bringing out even more of your natural beauty with each and every photo! ViAnna truly goes the extra mile. She stays in touch throughout the wedding planning process, checking in to get a feel for your personality so she is able to capture the type of memories you are looking for. Our wedding took place at a private estate, so the week of our wedding ViAnna even did a site visit to evaluate the lighting and assess prime photo spots to ensure she would be able to capture every detail of our wedding day. Upon returning from our honeymoon, ViAnna had an AMAZING slideshow she prepared for us with highlights from our wedding day. Her pairing of music, photos, and transitions truly captured the love from that day, and has quickly become one of our favorite ways to relive our special day! It has already been watched countless times, and all our family and friends can't get over how each photograph seems even more beautiful than the previous! We could not be more pleased with our experience with Amore Fine Art Photography, and will cherish each and every photograph for years to come! Thank you ViAnna and Jim--you are truly the best! Maryann B. - Elko, NV. Viana and Jim were wonderful at capturing all our special moments on our special day! Viana took special care to make sure we didn't miss anything that happened at our wedding! We also did our engagement pictures with them, it was a hoot to say the least! Every picture captured all the love and joy that we feel for each other. I can't thank you enough for everything you did for us! I am truly lucky to have found you guys! Jeanine M. - Sacramento, Ca. Jim and ViAnna of Amore Fine Art Photography are the absolute best. I met Jim and Vi at a Bridal Expo in Sacramento and entered to win an engagement photo shoot and WON!!! Our engagement photo shoot was such a breeze and they allowed us to incorporate our dog, and our photos themselves turned out even better. We new from then on that we HAD TO HAVE them with us at our wedding in Jamaica. They were able to accommodate our schedule and take more amazing photos of our day and our entire group. They are the absolute best and we will continue to use them for future life events and they will remain friends of ours. I highly recommend using them if you would like genius photography and a great couple to work with along the way! Julie B. - Woodland, Ca. I struggle to write this review because I don't know if I can accurately describe how incredibly FABULOUS Vianna is. I first met this lovely lady at a vendor event and she must have sensed my panic when I told her I hadn't decided on a photographer for my upcoming wedding. Vi immediately calmed my nerves and soon I felt we had known each other for years. She was fabulous about working around our crazy schedules, in order to shoot our engagement session, and the photos were breathtaking! Vi insisted on scouting out my wedding venue, even though it was an hour drive for her. On our perfect day, Vianna & her husband, Jim, worked tirelessly for 7 straight hours to capture priceless photos of our event. Vi put many hours into creating stunning photos, and an incredible photo montage on CD that we will cherish forever. I am so thankful to Vi for her dedication and professionalism over the last few months. There's that old saying "You get what you pay for"...... well, my experience with Amore Fine Art has been PRICELESS! Adrianna O. - Sacramento, Ca. Let me start off by saying Vianna is AMAZING!!!! She is so fun and makes the whole process so easy. I am typically not a "yelper" but my fiancé Josh and I had such a great experience that I had to write about it. I was in the process of planning our wedding and attended the Cal-Expo Bridal Show where we came across "Amore Fine Art Photography". You're getting so many things thrown at you from left and right at these expos that you become overwhelmed and skeptical. All it took was a look at the website and I knew I loved the work. Once we made contact it was so easy from there. We spoke about how everything works, ideas, pricing and with Vianna being the BIG texter she is, we wrote back and forth for a couple of weeks about the upcoming engagement photo shoot. I was excited as is, and I could feel her excitement in every text she wrote. The 1st time we met, it's like we knew her for years; we hugged, met her Fiancé/partner and talked for a bit and jumped right into shooting. We shot at 3 locations and had 4 wardrobe changes; she was so great at knowing the lighting, and how to have us pose. Our dog is part of our family and she was even open about letting us incorporate " Chewy" in our pictures. Let's say he was the highlight of the pictures, they loved him It was about 2.5 hours long and worth every minute, we loved every bit of our engagement photo shoot. We kept in contact after and she said she would have the pics ready in less than a week... We were blown away when she called and said they were ready 4 days later. I couldn't wait to view them on the site. We LOVED them!!!! There was over 350 pictures taken and great edits were made. We met the next day and talked more about our upcoming wedding. Needless to say we booked Vianna on the spot and we can't wait for our upcoming September 2015 wedding with her. Ashely B. - Roseville, Ca. Vianna did photos for my boyfriend and I with two kids. I know 2 kids can be a handful especially when they are 2 and 4. She was so patient with us while getting the kids to sit still. She also did not get frustrated with us or the kids when things got a little crazy. I have been to a few other photography places for family photos and I can tell when the photographer starts to frustrated with the kids being crazy, I find it super unprofessional and to find a woman like Vianna who helped make the kids comfortable and laugh just made everything run so smoothly!. You get what you pay for! I swear by her, I would not recommend you go anywhere else put her if you want the BEST of the best!